Want intense action and some really scary scenes? Plus, cursing like a sailor from Guillermo del Toro? 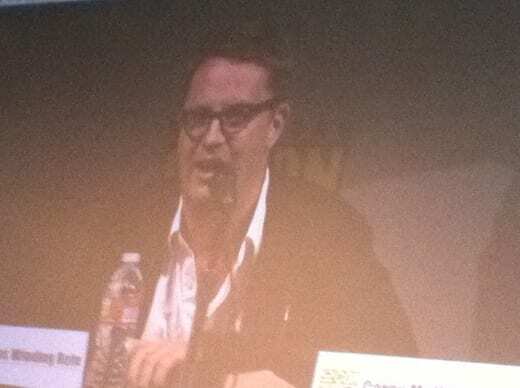 That's exactly what fans got from the FilmDistrict presentation. The panel was full of fun surprises and some intense scenes from its two upcoming films Don't Be Afraid of the Dark and Drive. Both films come from genre filmmakers - Guillermo del Toro (Don't Be Afraid of the Dark) and Nicholas Winding Refn (Drive). They started off the session by talking about why these films are both so different and unique. "Genre film making has taken the place of progressive film making," declared Refn. And both of these films definitely take on a very intense, but different genre. Don't Be Afraid of the Dark has Guillermo going back to his horror roots - again including, what he says, are the best elements of a horror film - monsters and creatures! "They are just fun to watch," he explains about his decision to include horrible, nasty creatures in his new thriller. But the R-rated film wasn't always an R-rated affair. It was originally given a PG-13 rating, but the MPAA had to up the ante on this horrific film. Guillermo explains they didn't want to have to take anything out of it to appease the ratings association. Guy Pearce, who plays the patriarch in the film, says he was attracted to the character because of the man's reluctance to believe his daughter. He thought there is something fascinating in the character because of "the amount of frustration the character evokes," he explained. The Hall H audience was then treated to the trailer for Don't Be Afraid of the Dark, which isn't exactly exclusive footage considering it's already been released. Nevertheless, the chilling trailer never gets old and it had the audience gasping and cheering from start to finish. It really is a very creepy trailer! As director Troy Nixey (Guillermo is the producer) added, "There is something creepy about something that can disappear." And these creepy little creatures just keep on disappearing and reappearing to scare the s$%t out of us! 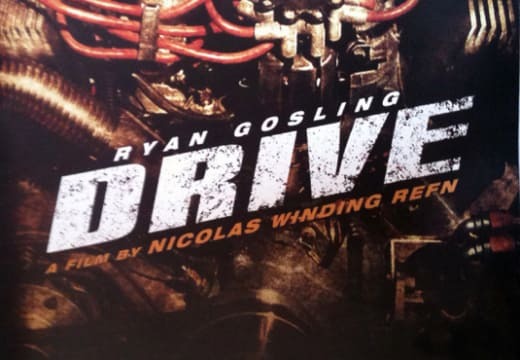 The real exclusives came with Refn's Drive, where the Comic-Con audience had a chance to see the never-before-seen trailer and an extra bonus scene, which we'll get to in a second. Carey Mulligan and Ron Perlman were both on hand to help promote the film alongside Refn and, as the director points out, they are the most important part of getting this (or any) film together. "A crucial part of film making is casting the right people," he explains. "Directing is actually really easy. All you have to really do is support your actors and guide them, the leave them alone if they're great actors." Mulligan admits she was attracted to the role because of the director. She explains her own audition process, which is a little unconventional. "I went to Nick's house and muscled my way into the film." Del Toro describes Drive as "balls to the wall" film making and he wasn't kidding, which we all got a chance to see when they unveiled the never-before-seen trailer. In an action-packed two-minute spot, we see Ryan Gosling in more intense action sequences than Perlman in Hellboy. The insanely fast-paced trailer gives a great look at the story, with out giving too much away. We're still not completely sure what it's about, which is what you want in a great trailer. The audience agreed, with loud cheers erupting many times throughout. Refn explains a large part also focuses on the backdrop and the "surroundings becomes a character within the film." He describes some of his inspiration coming from Grimm fairy tales and wanted to tell a fairy tale and fantasy story set in modern-day Los Angeles. When you see the trailer you might not completely see where he got that inspiration, but we'll just go with it. "Everyone in the film is a specific archetype in a modern environment." We'll just have to trust him on this one. We also got a chance to see another exclusive clip from the film - an intense scene in the elevator. Intense, but also bit jarring as it goes from one extreme to the other. The scene starts with Gosling's character looking suspiciously at the other man in the elevator, while at the same time, movie Mulligan's character behind him. He suddently starts passionately kissing her, which is shown in slow-motion. After the swooning kiss, his character than attacks the other man in the elevator by bashing in his head an leaving him dead. It's a great scene of passion, juxtaposed in two very different ways - passionate love and passionate hate. Intense! Find out more about Drive, including an exclusive interview with star Ryan Gosling at the Los Angeles Film Festival.